For most projects that you could possibly have to produce, the process could be made much easier if you were to start by making an outline. 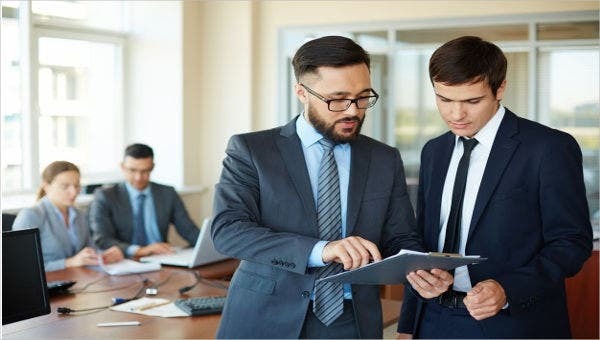 This way, your project would have a general framework that could guide you through every step you need to take to finish the project.One example of a project outline is a paper outline. 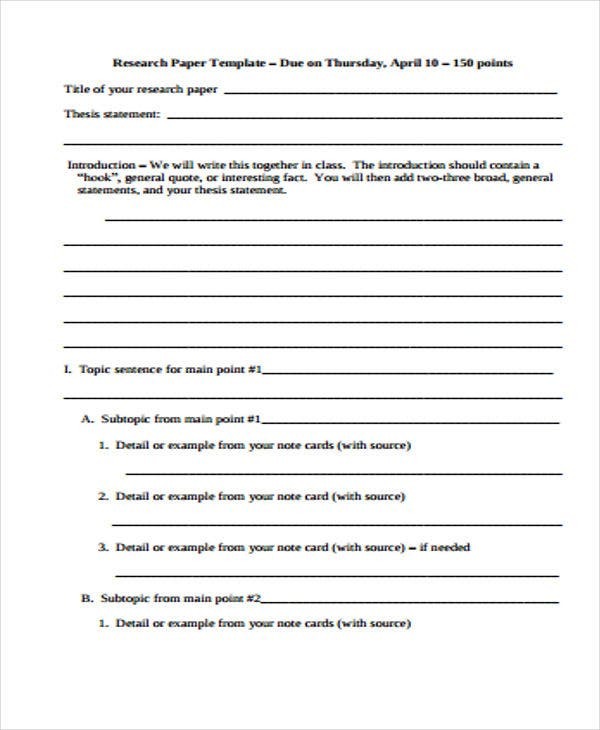 This is a versatile tool that can help you through making such things as research papers. After all, such a project can be expected to take a considerable amount of time, so it would be wise to have an outline to keep it all organized. 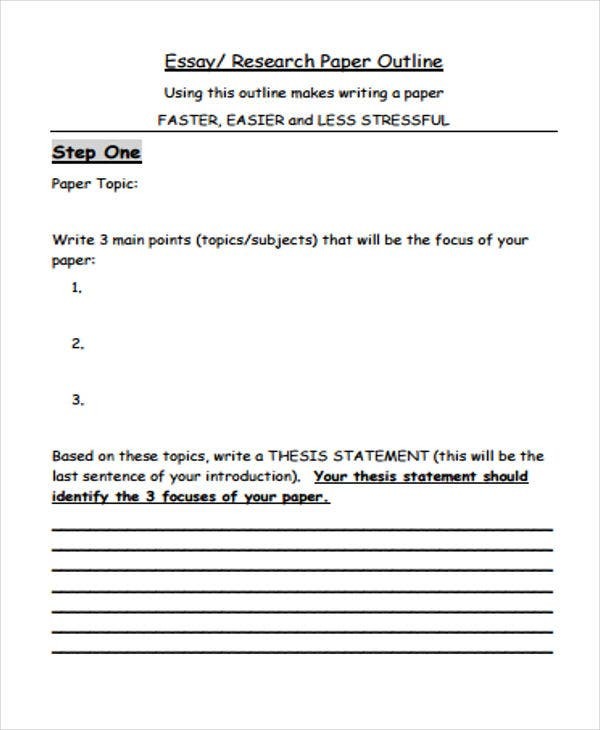 Using an outline example as a basis, all you need to make your own paper is to be aware of the steps to make an effective one. 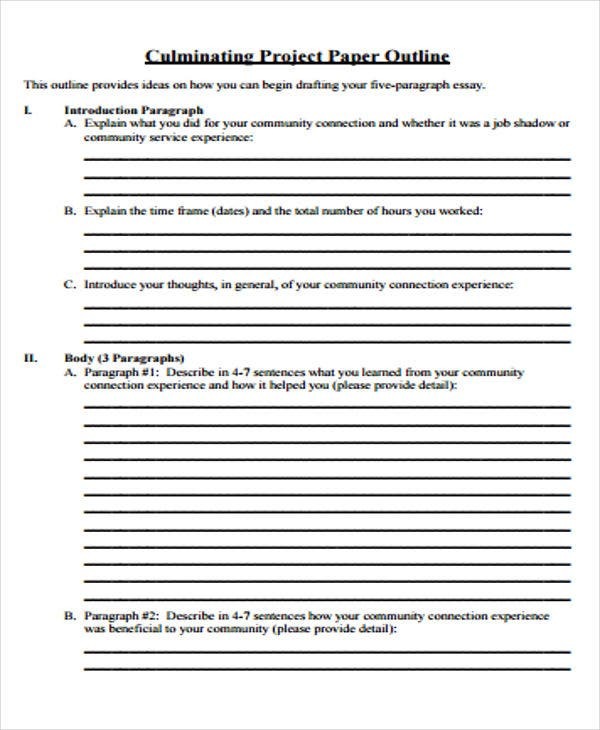 Divide a blank outline template into three basic parts: the introduction, the body, and the conclusion. 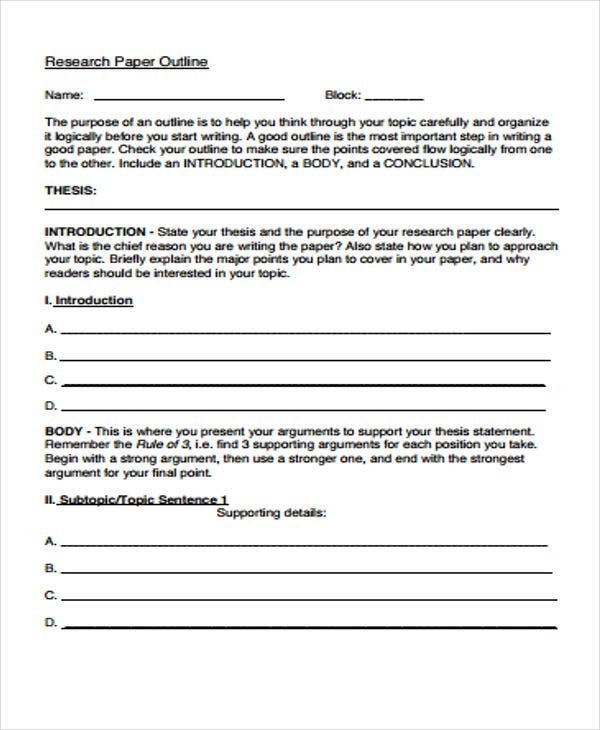 For the introduction, start with the title of the paper, then include your research question, objectives, and thesis statement. For the body, provide a background of the topic, related literature, significance of the paper, preliminary results, etc. For the conclusion, provide a brief summary of your conclusions and recommendations for the future. 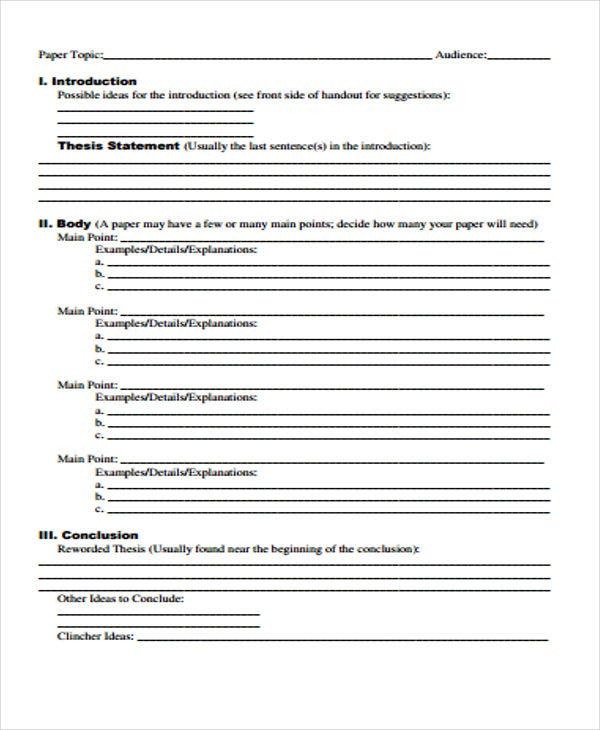 Title, where your research paper outline template introduces the topic of your paper in one sentence. Introduction, where you introduce the very basics of your paper, and explain your problem and hypothesis. Body, which can be divided into different sections to explain your paper in some detail so as to summarize it for reading relatively quickly. 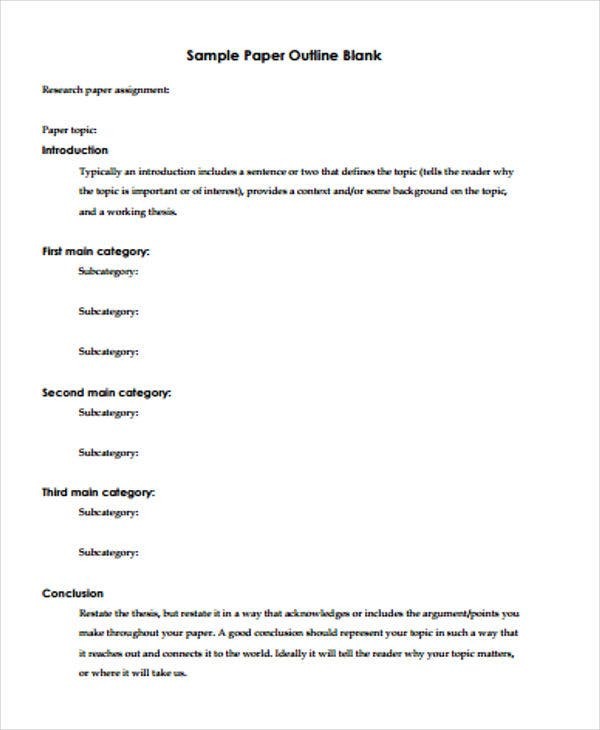 Conclusion, where you summarize the main point of your paper and its results. You can also summarize the implications of your paper here. If you were to use an outline template in PDF as an aid, then you would also do well to know some tips that could help you use such templates more effectively. After all, these tips can serve as reminders to keep you aware of everything you need to do regarding these outline templates. Keep your outline simple. 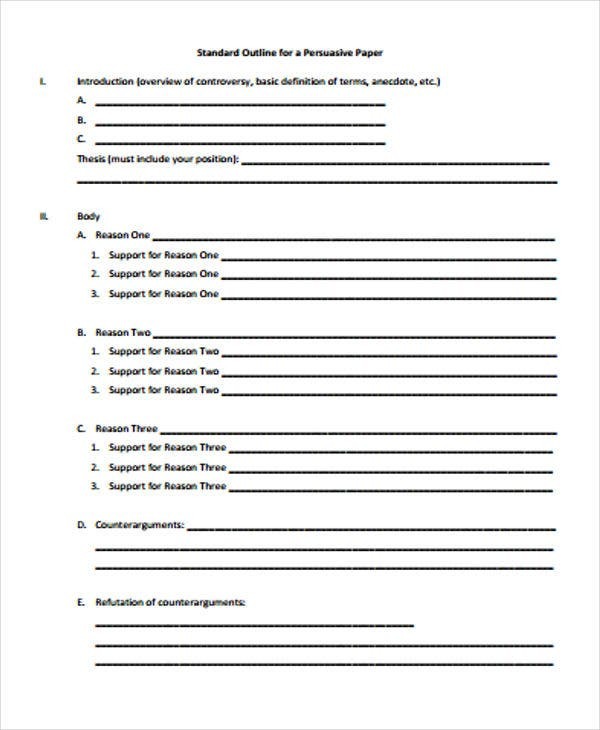 Your outline will be much easier to make and read through if you keep your report outline templates simple. This way, you can focus on the content without getting lost in fixing the format. Be concise. You only have so much space available in your outline, so it is important to make the most of it so as not to get lost on less important details. Hit only the important points. An outline can only deal with those points, so it is important that you focus on them so as to stay on target. Let your outline correspond to your paper. The closer the arrangement of your outline, the easier it will be to coordinate with your actual paper, which would allow them to be more complementary. If you need other outline templates, or other kinds of templates for that matter, then you should feel free to check out the other selections available on the site.